Recent research into the role and diversity of microbes living in the human gut is radically changing the way many of us think about bacteria. From an early age we’re taught that bacteria and other micro-organisms cause diseases, and that we should take precautions to limit our exposure to them. But now, studies of the human digestive system and the microbes living within it are suggesting that, far from being agents of disease, many species of microbes are in fact integral to our overall health. I’ve been spending a lot of time reading up on the studies coming from research institutes and universities while writing my new book that is out in September. 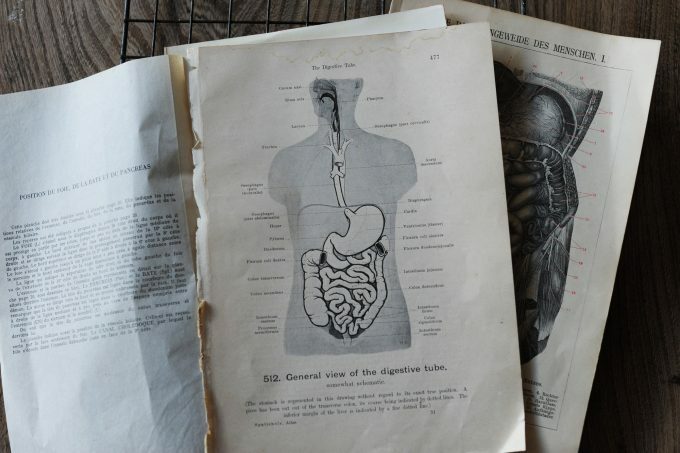 I’ve learned over the past six or seven years reading, researching and talking to health care professionals, that the gut microbiota (the community of microbes living in our intestine) is involved in pretty much every aspect of our health. 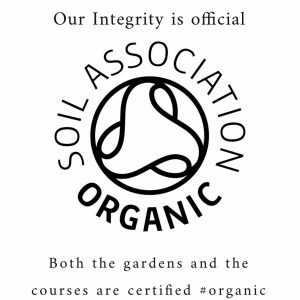 These micro-organisms help protect us against disease, they are essential in making a range nutrients available to our digestive system, can neutralise drugs and carcinogens, and play an important role in maintaining the lining of the gut. A lot of the scientific evidence I’ve been reading suggests that adopting a diet which supports a healthy gut microbiota is a vital step in supporting our own health. One thing that amazes me is the sheer volume of microbes living in our digestive system. An individual human can have hundreds of different species of bacteria present in their gut, along with yeasts, viruses and other microbes. There may be 10 times more bacteria in our gut than there are living cells in the whole of our body. Each of us is, in fact, a complex ecosystem, reliant on a community of microbes for many essential body functions. This internal ecosystem is at its most abundant in the colon or large intestine. Many of the studies I’ve been reading indicate that having a diverse range of microbial species in your gut is related to good health. Until recently this area has been neglected by research, but scientists are now making exciting discoveries which will have implications both for our diets and for future medical treatments. In addition to aiding our physical health, there is research that suggests the state of gut microbiota could be a factor in our mental health too. The human digestive system and brain communicate through pathways involving the nerves, immune system and hormones. Scientists have named this the gut-brain axis. Studies have shown that the state of the microbe community in the gut can influence behaviour and mood, and more recently a link has been found suggesting that metabolic diseases and inflammation caused by imbalances in the digestive system are involved in the development of dementia. The community of microbes present in the gut is established early on in life. There is evidence that the process begins before birth, when microbes are transferred from mother to baby via the placenta. Scientists think that round about the time of weaning, our individual gut ecosystem begins to stabilise, and once this happens any further changes will be relatively minor. But research is beginning to show that maintaining this healthy gut microbiota is largely down to diet and other aspects of our lifestyle. Most people are omnivores, eating a wide range of foods which in turn support a diverse variety of microbes. This is important, because a growing number of studies indicate that healthy individuals have high levels of gut microbe diversity. So what should you be eating to support the diversity of microbes in your gut and optimise the health benefits they confer? Simply put, your gut microbiota needs a variety of food to survive. Fibre has been shown to be especially important. Dietary fibre forms an important food source for many of the bacteria in the gut. The benefits of fibre are twofold. Firstly, it is a food source for many of the bacterial species which are able to digest it, releasing nutrients which would otherwise be unavailable to our digestive systems. But if there is too little fibre in our diets, the gut bacteria begin to damage the mucus lining of the large intestine. This compromises the gut lining, and means that undigested proteins (seen as pathogens) can get into the blood stream. These proteins may then trigger an immune system response and inflammation. The role of a healthy and diverse gut microbiota in protecting against autoimmune diseases seems particularly relevant as we are seeing diagnosis of these disorders increasing exponentially. 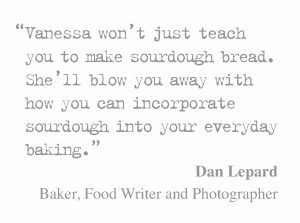 I’ve been especially interested in finding out how sourdough fits into a healthy diet, and if there are ways to improve the bread I bake so that it supports a more diverse range of gut microbes. One simple way of increasing the dietary value of sourdough is to bake with a variety of grains. Using stoneground wholemeal flour provides plenty of fibre, something that is often lacking in a modern, western-style diet. Adding other grains to your loaves, maybe some rye or spelt, feeds different microbes and can help to maintain microbial diversity. The acidification of the dough, brought about by the lactic acid bacteria during the long slow fermentation, also helps improve the bioavailability of nutrients in the bread. This increases the amount of food available to the microbes, and makes fibre, minerals, vitamins and phenolic compounds easier to digest. In addition, the acid environment during fermentation helps to begin the break down proteins. So, if you have a compromised gut microbiota and are having digestive issues, the proteins which may be causing problems have been pre-digested, and are less likely to provoke an immune response. 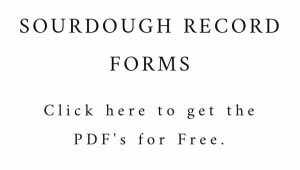 In this sense, the sourdough is very much a prebiotic. 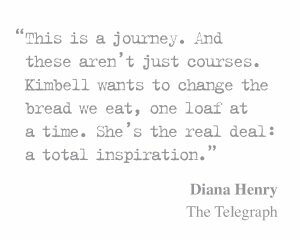 From what I’ve read, I have realised that sourdough bread can be an important part of a healthy diet, helping to maintain a diverse and resilient gut microbiota. With so much research showing the importance of these microbes in building a strong immune system, in weight control and in influencing mood and behaviour, I think it’s essential to consider what we eat and how that affects our physical and mental health. 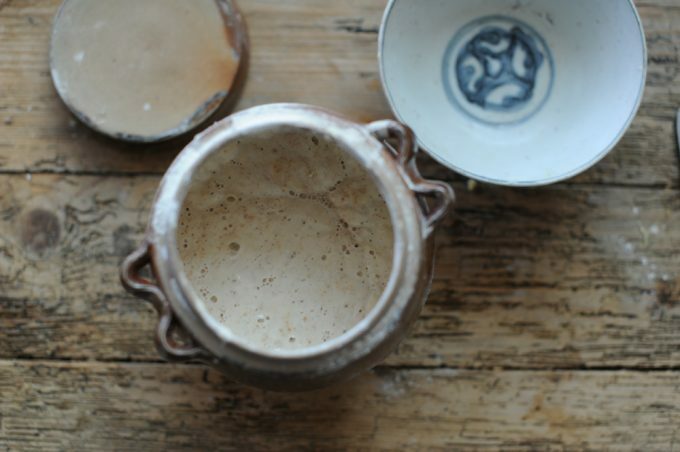 We are running a 3 Day Sourdough & Gut Microbial Health Course in June and September of 2019. 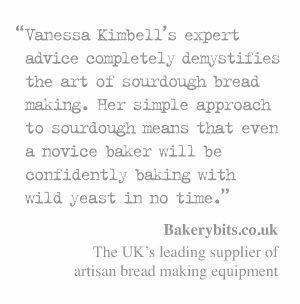 We’re very excited about this course which is completely new and brings together Vanessa’s passion for sourdough baking with her research into the nutrition and digestibility of bread. If you are interested in this course click here for more information – there are limited places available, so book soon. As part of this course we are partnering with Atlas Biomed to offer gut microbiome tests to out students. If you aren’t able to attend the course but would still like to have a gut microbiome test, click here for more details. There is a special offer of 20% off all tests purchased before 25th December 2018. Share the post "Gut microbes and the role of sourdough in supporting a healthy digestive system"
Thank you for sharing the results of your research. Your post is informative, interesting and well written. For me, as an amateur sourdough bread maker, your comments encourage me to do more with my white and rye starters. It is a shame for me that you are in the UK and I am down under, otherwise I would love to attend some of your courses. How can it help when the bacteria and microbes are killed during baking? The microbes leave behind ready made food for our microbes to enjoy. Ha Vanessa, good article, nice to read. In the eighties we bio bakers used to have a yearly game in Holland who baked the best sourdoughbread. Omar Gevaert from Lima watched the insides of the breads, looking for ‘de versmoltenheid van zemel’, well, in English: whether one still could see the bran or not. Not was better, it told him that the (sourdough)dough had had enough time to ferment. I never forgot that and I always look at the inside of my breads: did the bran go from visible in the beginning of the dough to almost invisible in the baked bread? Time is essential. I look forward for your book Vanessa.